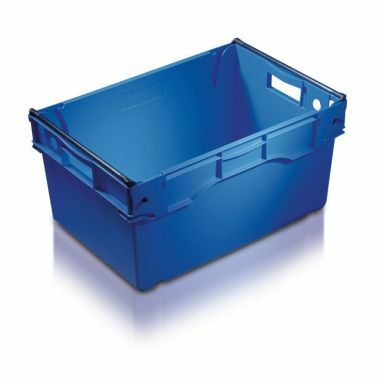 G Force supply a wide range of plastic stack nest containers including Maxinest bale arm crates, 180 degree stack nest boxes, plastic stacking trays and stack/nest baskets ideal for general industry storage and distribution. Our range of stack nest containers are available in a variety of sizes and styles. 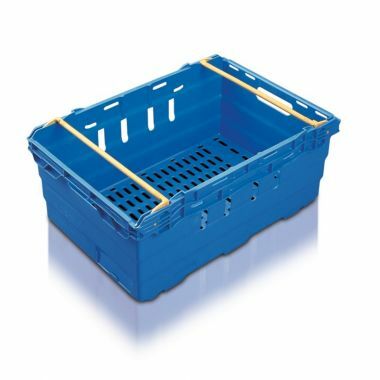 The Maxinest bale arm baskets are designed to stack and nest and are commonly used as supermarket crates. 180 degree plastic stack nest containers can help to save on valuable storage space. 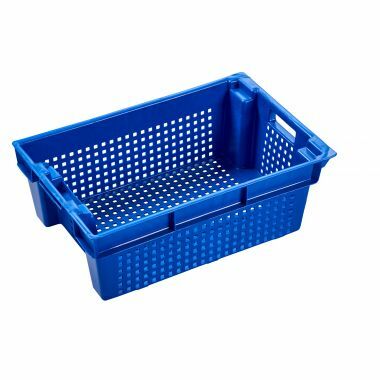 Plastic stack nest containers and Maxinest bale arm baskets are popular within many industries including food manufacturing, food processing, retail distribution, healthcare, transport, textiles, clothing manufacture, engineering, farming and horticulture. 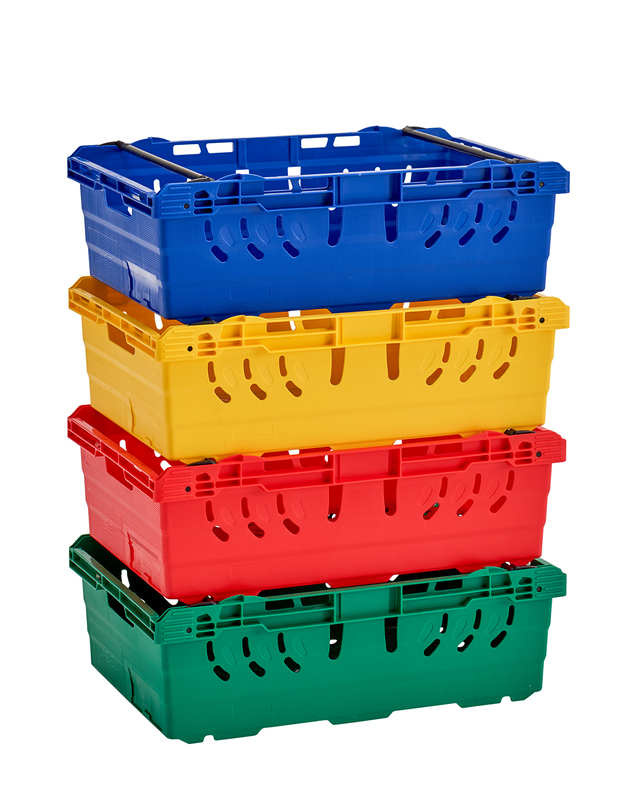 All of our colour coded plastic containers are produced from strong and durable food grade material. The majority of our stack nest containers are the standard Euro size, 600 x 400mm. 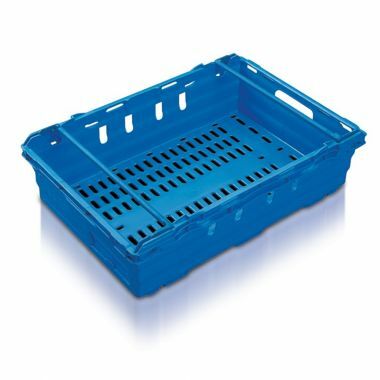 This is a standard size ensuring the containers can be stacked efficiently on pallets and are compatible with a range of different accessories such as lids, dollies and storage racks. 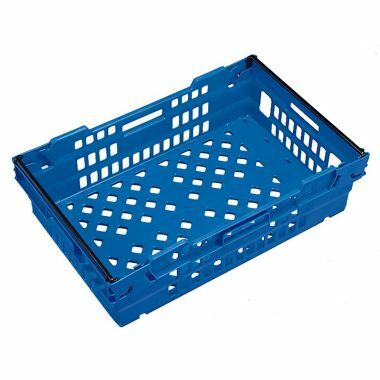 The exception is our range of stacking crates which were originally designed to hold a set amount of bread. 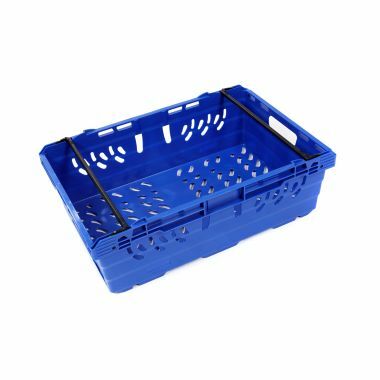 Whilst originally designed for delivering bread these versatile baskets or crates are also a great way to transport or deliver other products. 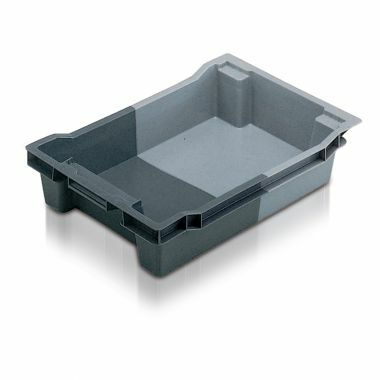 When full and in use the containers are designed to stack together like any other tray or box. However when empty the containers are designed to nest inside each other to save space. In many organisations space is a premium, warehouses and production areas can become quite tight. Stack nest containers reduce the amount of space taken up by containers that are not in use. The space saving offered by our stackable and nestable containers is also very valuable in distribution, making them the perfect delivery crate. Our range of stack nest containers and stacking crates are available either solid or with perforations. Our containers are also available in a range of different colours, enabling colour coding and easy segregation. All of our stack nest containers have strong hand grips for easy handling and placing on plastic pallets. Which Stacking Crates should you buy? Within our range of stack nest containers there are several different styles of container. Firstly we offer a range of 180 degree stack nest containers. These containers can be stacked or nested by simply turning the container through 180 degrees. 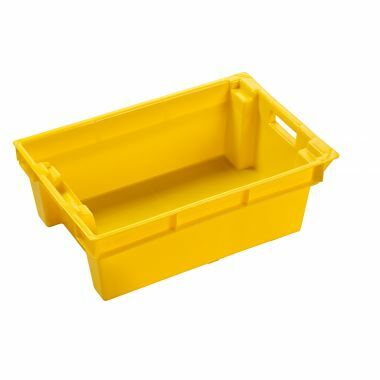 We offer this type of container or tray in a range of different sizes, ranging from shallow trays at 117mm, to larger boxes at 400mm deep. The 180 degree stack or nest containers are available in solid or ventilated configurations. The other style of stack / nest containers are bale arm distribution crates. These baskets have a bale arm which when engaged allows the containers to stack. When the bale arm is dis-engaged the baskets nest together. They are a great distribution option and are commonly used by all UK supermarkets. 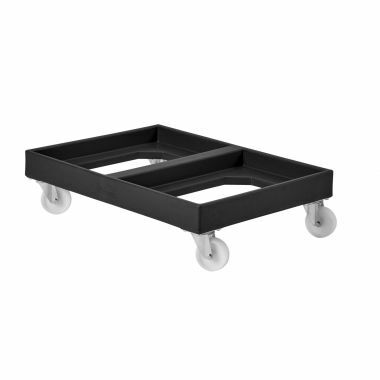 To complement the baskets we offer a full range of compatible dollies, pallets and racks. Contact us today for more details on this range of products.